We put in a lot of hours yesterday to take care of a long time customer. 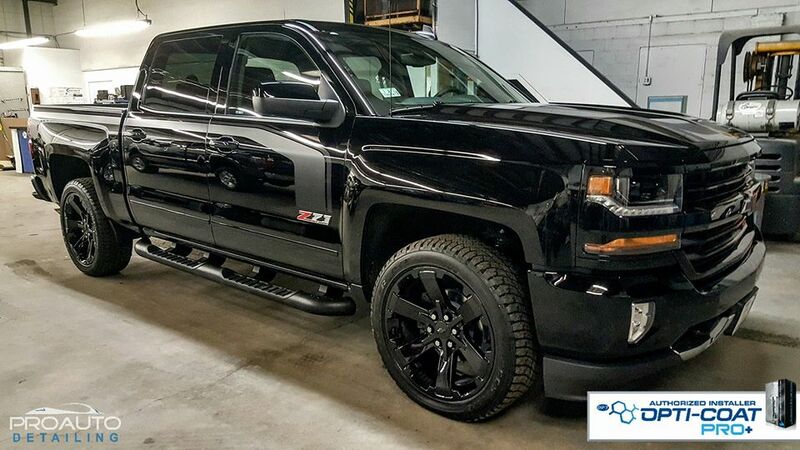 Our customers drove almost 2 hours for us to correct and protect his brand new Chevrolet Z71 Silverado. 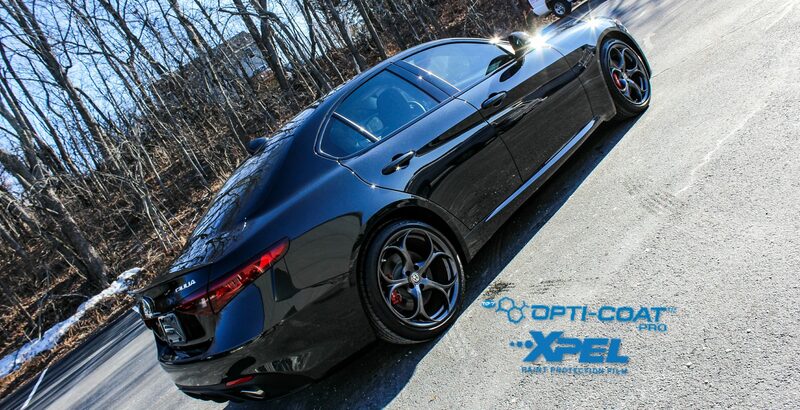 In 16 hours(Straight) we eliminated the swirls and scratches the dealership added, and locked in that beautiful black paint with Optimum Polymer Technologies Opti-Coat Pro Plus. I was able to get before and after shots, but being on a very strict time schedule I didn’t take any during pictures of the swirl marks and scratches. Machine compounded knocked down all of the swirl marks and almost all of the scratches, the machine polishing step refined the paint down even further, and the final polishing step with the Optimum Primer Polish delivered us the gold. No swirls, no scratches, but more importantly no marring that is caused by the softness this paint is known for. With the exception of the time crunch, this job went swimmingly. We’ll post Exterior daylight pics when the truck is back for it’s inspection hand wash in 2 weeks which comes complimentary every Opti-Coat Pro Plus booking. Stay tuned! I was able to catch this one just as I finished. I was sitting there admiring the finish it occurred to me to take a pic. Established in 2006 by William Castro, Pro Auto Detailing has grown from a small part time detailing studio in Amesbury, MA to a fully operational & multi service auto detailing shop in North Andover, MA. To be New Englands #1 choice in Auto Detailing. To outpace other detailers not in sales, but in the number of customers who leave our shop so happy that they tell everyone they know to leave there detailers and seek us out.